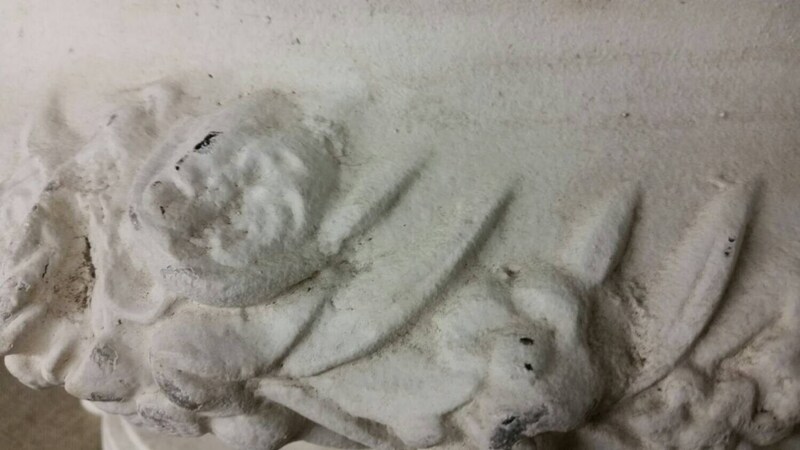 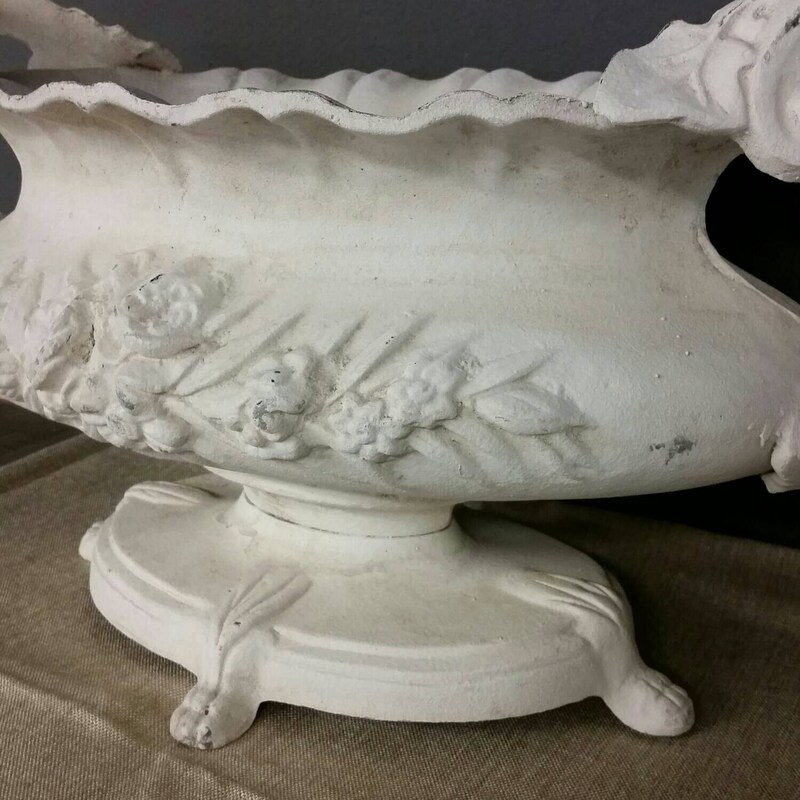 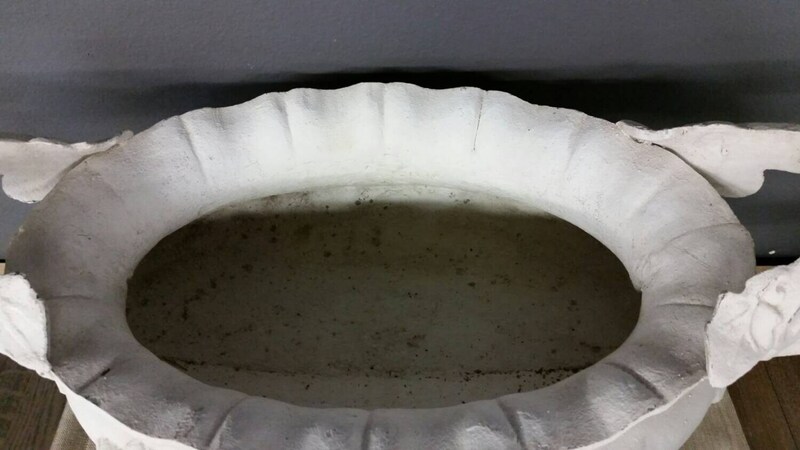 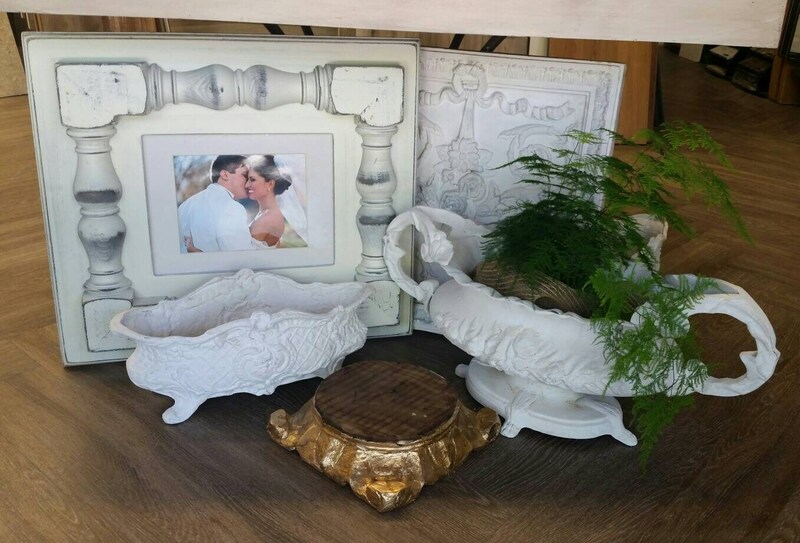 This vintage white french garden jardiniere is a beauty and rare find in this large size. 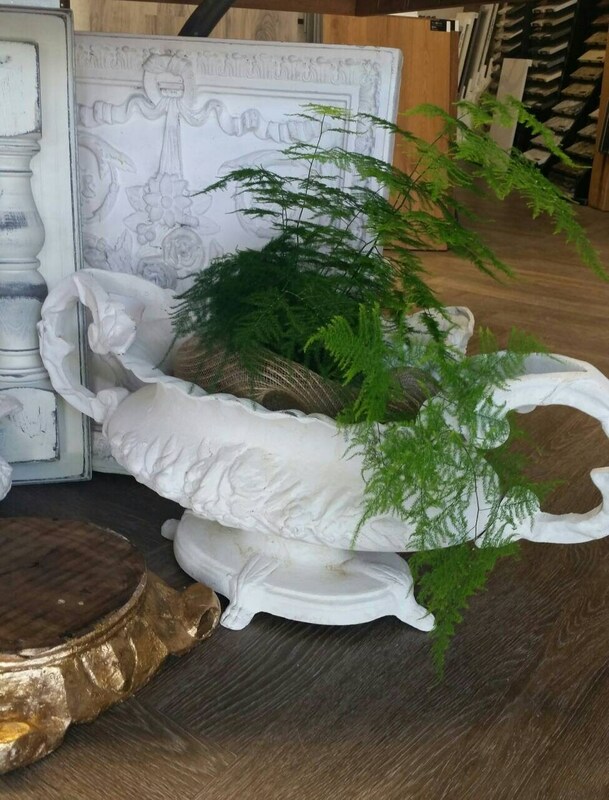 Made of heavy cast metal and has a beautiful off white paint finish. 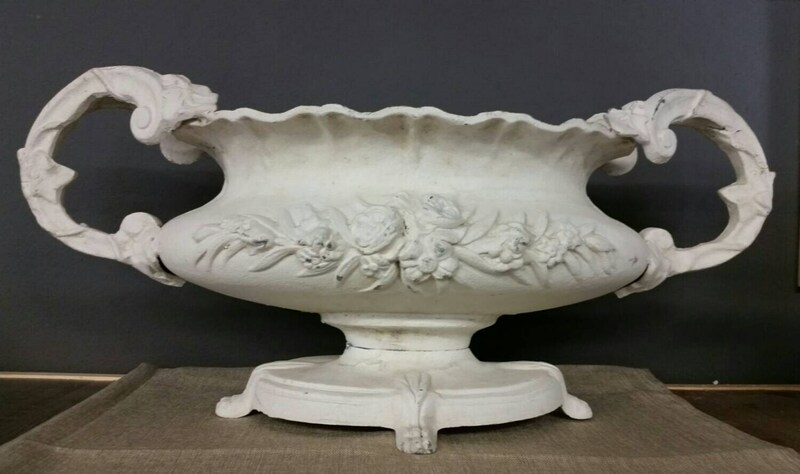 With embellishment of flowers and the pedestal base is also ornate in it's design. 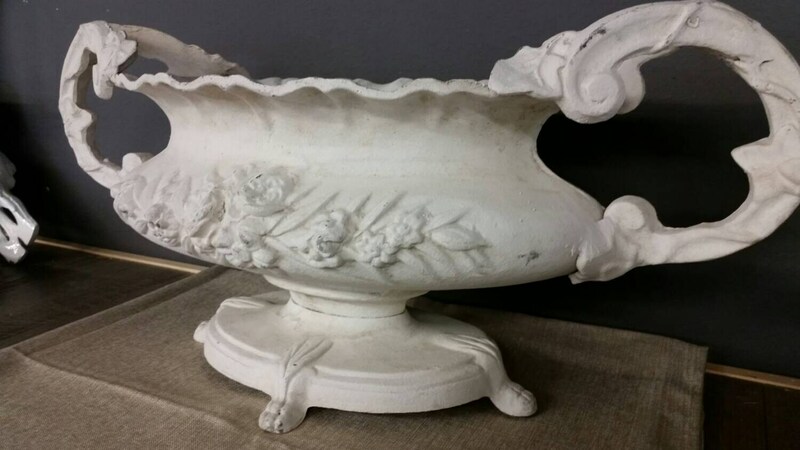 It measures 32" wide x 14" tall x 15" deep and is nice and heavy. 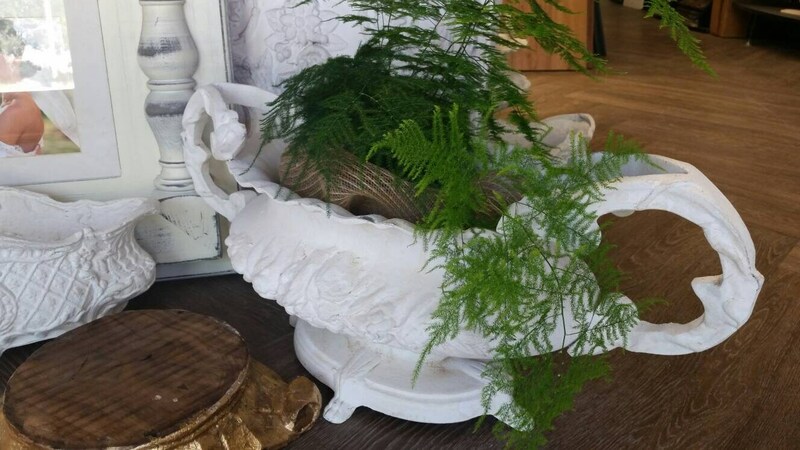 Would be stunning as a centerpiece on a table or sideboard, sunroom with ferns or orchids.